Credit card debt counseling may provide several benefits to individuals straddled with credit card debt problems, but it has its limitations, as well. It is important to know what these limitations are in order to better decide if this option is best suited specifically for your case. Knowing these things will further promote smooth transaction and business relations with your credit card debt counselor since you already know beforehand the extent of services that the counselor cover. In most cases, credit debt counselors can help you with your financial obligations to certain credit card companies by negotiating with these firms on your behalf. The negotiations mainly focus on an affordable payment plan that makes it possible for you to fully pay your debt over time. Depending on the competence of the counselor, you may even get lower interest rates compared to the rates extended to you by the credit card company. The counselor can negotiate for better rates. 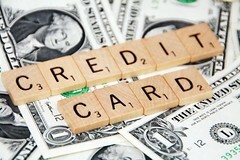 Moreover, credit card debt counseling is also one of the best options for improving your credit rating. The fact that you are already in a state of financial difficulties that involve overdue payments on your credit card bills, your credit rating is already tarnished. However, you can start improving your rating starting today with the aid of the credit debt counselor who will guide you towards the right path in making things right. Standard agreement under credit card debt counseling normally delegates the payment of credit card bills to the debt counselor. If you opt to use the services of these credit card debt counseling firms, expect to give the payment for your credit card bills to the counselor, who shall in turn make the payments to the credit card companies or through their authorized payment centers. Under this system, it is very crucial to choose a credible and reliable counselor, whom you can truly trust. There are several cases where inept counselors used the money for their own personal use, and did not pay the bills for their clients. 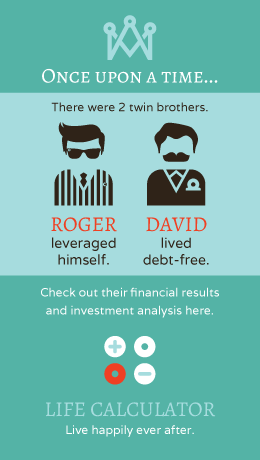 As a result, their clients ended up in bigger debts due to non-payment of bills. Credit card debt counseling takes care of paying your credit card bills without personally transacting with your creditors, but you will still have to personally pay for your other bills. Payments for utilities like electricity and water, telephone bills, cable subscription, and loans from banks and lending firms must still be paid by you. The counselor will only pay for your credit card bills. This must be clear right from the start once you have forged an agreement with the credit card debt counseling firm when using their services. This means that you also have to allocate budget for these other bills besides your credit card monthly payments. In terms of your credit card rating, the counselor cannot do anything about the present rating. This can no longer be changed. What the counselor can do, however, is to help you make a workable plan for you to eventually pay off your credit card debts so that in future, your credit rating will improve. Moreover, credit card debt counselors may be able to negotiate for better interest rates on your behalf, but they can never reduce the total principal amount that you owe to the credit card firms. You will still have to pay for the actual total amount that you spent using your credit card. now to decide if debt counseling for your credit card problem is appropriate in your situation and is worth paying for and so that you do not end up dissatisfied and robbed of the fees you paid for.